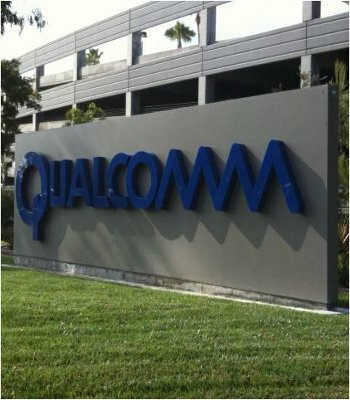 Qualcomm, one of the world's largest smartphone and tablet chip makers, announced yesterday during their second fiscal quarter earnings call that shipments of their highly popular 28-nanometer Snapdragon S4 chips are unlikely to keep up with supply until the end of the year due to unprecedented demand. Despite this, the company revealed considerable growth in their second fiscal quarter of 2012, which ended on March 25. Qualcomm reported a net income of $2.23 billion, a growth of 123 percent compared to the same quarter last year. Their revenue for the period was $4.94 billion, a 28 percent increase year on year, and shipments of MSM chipsets which includes their Snapdragon SoC's increased by 29 percent year on year, to 152 million units. The supply problem is likely to affect makers of smartphones and tablets, as well as upcoming Windows 8 devices due later in the year. Qualcomm told investors that the problem is down to their subcontractor, TSMC, who is unable to keep up with the industry's demand due to problems with ramping up production on the new 28nm process. The chip maker is exploring other avenues to secure additional chip production capacity and expects to return to normal production levels in time for the Christmas shopping period. "We have taken [the] approach to spread the supply across all of the customers as best we can, and so I think everybody is dealing with this issue," said Qualcomm president and COO Steven Mollenkopf. "We're really focused very much on getting additional supply throughout the year." To counter the chip shortage, Qualcomm is suggesting device makers use their Fusion 2 units where possible, but they openly admitted that the shortage will result in some OEM's turning to competitors in a bid to avoid delays. "In any constrained environment, people look for any alternative they can in order to solve the problem," said Mollenkopf. "We do expect to see some alternative non-Qualcomm chipsets being used to solve that issue." According to PC World, more than 370 Snapdragon-based devices are currently on the market, with over 400 currently being developed. Of those in development currently, 150 designs are based on Qualcomm's Snapdragon S4 SoC design. Windows Phone mobile OS smartphones made by HTC, Nokia and others will be fortunate however, as Qualcomm's supply of single-core Snapdragon S2 chips remains unaffected since they use an earlier process.